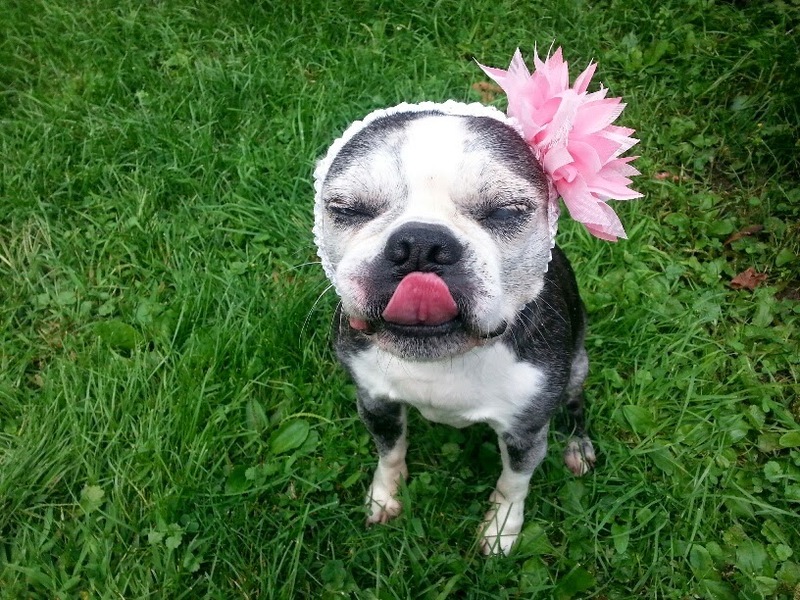 With sadness, Mary Seymour tells us that Lilly, formerly Midge, has gone to the rainbow bridge. Mary tells us, "One day she could not hold her head up without horrible pain. She was such a gentle dog, she didn't rough house or play hard. We just could not imagine an injury. We took her to several local vets and finally to Cornell. 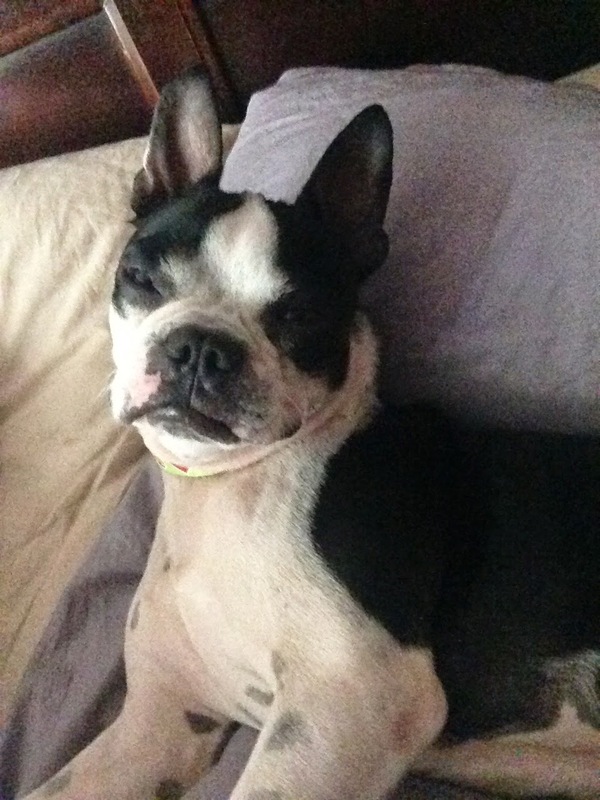 They said they could to exploratory surgery and keep her on pain meds until the surgery. Ron and I just could not subject her to any further suffering. The pain meds did not touch her pain and with no encouraging prognosis, we sadly decided to let her go. You know, it's a very, very difficult decision, but she depended on me to help her and care for her....she had such a terrible life prior to us. So, I felt it was in her best interest. Ugh. Still can't talk about her without crying... 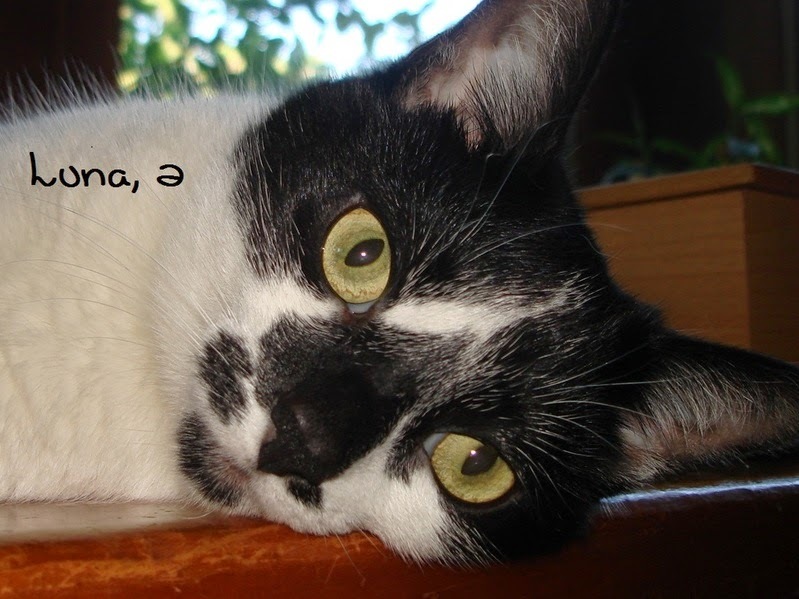 But, she was a treasure and I am forever grateful to have had her in my life! She brought soooo much happiness to us! Funny how that goes . You think you rescue them!" Our sympathy to Jane and family, and know that Lilly spent the happiest years of her life with you, knowing that she was loved. 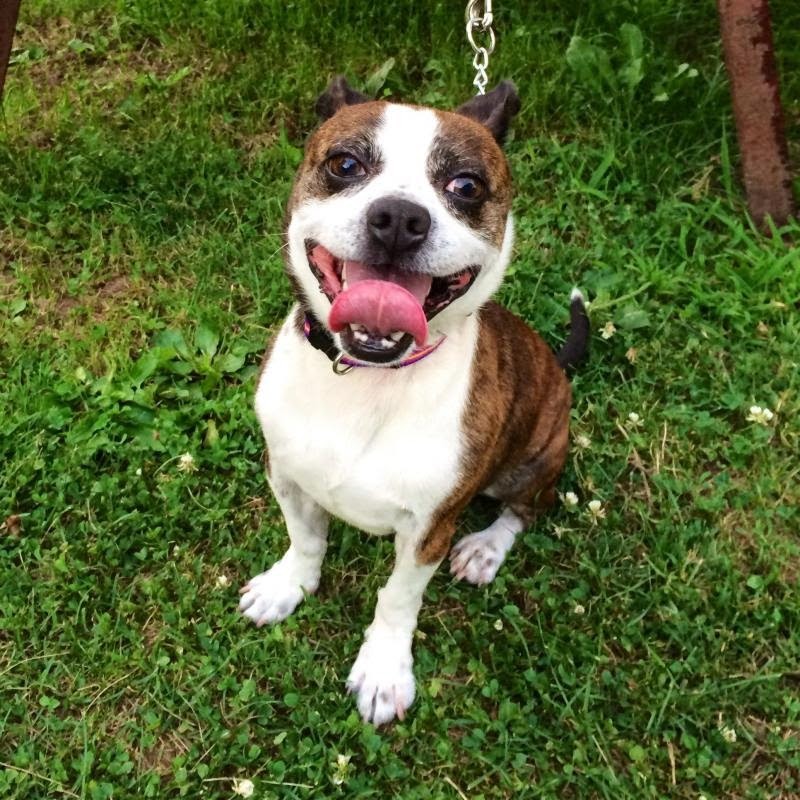 Milo is a two year old cutie who was picked up as a stray by the Clifton Animal Shelter. After being there for some time, he became very stressed, and Linda Vermeylen stepped up to rescue him and foster him for the shelter. 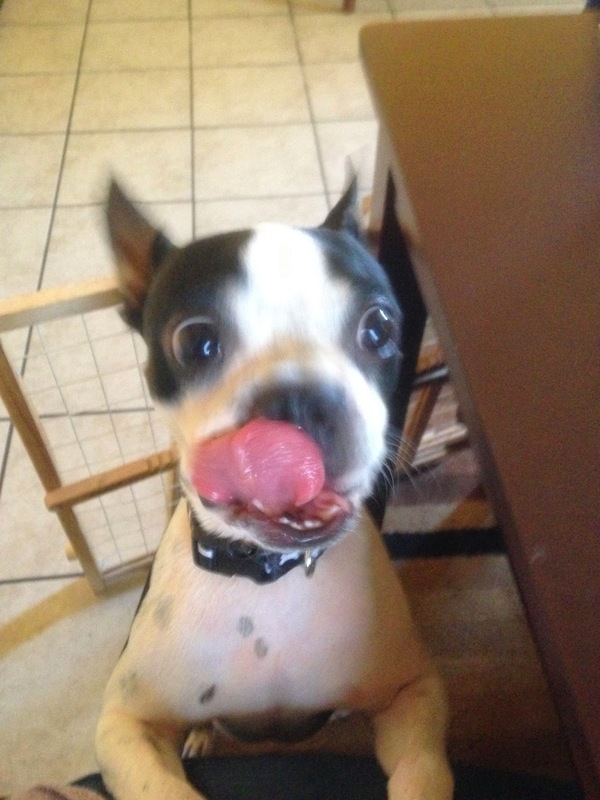 Watch for more on this mixed Boston/Jack Russell cutie. I am the luckiest dog mom in the world. thank you so much to Robin and NEBTR for taking such good care of my Rocky and bringing us together! 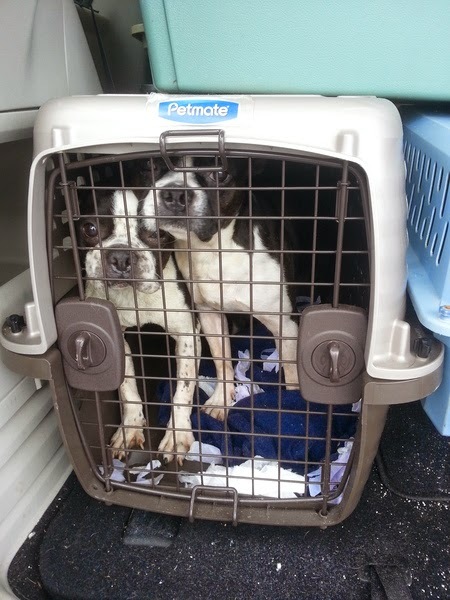 Dad and Mom from the puppy mill rescue are now Samson and Delilah! Delilah wasn't feeling well this morning, she didn't eat and threw up. But ate dinner and seems better. I gave her a bath yesterday. She was so dirty the white around her neck was brown. She is sweet and I think is doing really well considering. She's very curious about everything and really wants to meet my dogs. I'm so excited for Lily's adoption day tomorrow. She's come a long way in foster care and I'm confident her new family will give her all the love, training, and exercise she needs! Foster Remy went for her follow up visit with the Opthalmologist today and all is good. The Dr. said that her eyes look great and she is tolerating her meds very well so one of the drops was reduced from 2x a day to 1x a day. 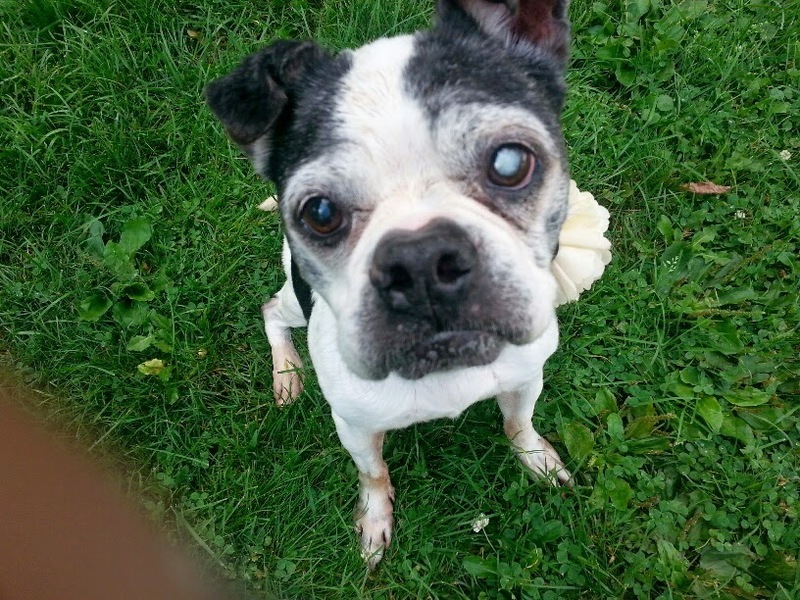 While Remy's long term prognosis remains unknown, the hope is that she will remain on the drops for the rest of her life with no further changes to her eyes (i.e., anterior luxation, retinal detachment and glaucoma). In fact the Dr. said they have another dog with Remy's condition who has been on the drops for years and is doing well so hopefully Remy will follow suit! The plan is to continue with her meds, avoid rigorous play (specifically anything that involves shaking of her head), watch for any changes and visit the Opthamololgist 3 or 4 times a year to ensure all remains well. Miss Remy Rue has settled in quite well with us and is just one of the gang. Here are a few adorable pics of her resting that I've been saving for this update. But don't let the pictures fool you....this little charmer is a very active girl! Here are some pics of the mill Dad. He's still a little shy but he is starting to warm up. I was able to pet him a little. He really wants us to stay in the room with him so we're just trying to stay around him and let him do his thing across the room. He's going to be a super sweet guy as soon as he gets used to people. Thank you for taking care of him until Saturday for me. I can't wait to show him what life is all about. I can't thank you enough. This is gonna be the best day of your life……..:) Welcome sweet ones! Here are some pics...it's hard cause she won't stay still. I think she has real potential, she is sweet and not too afraid of interaction. She ate dinner in front if me and I just gave her a stuffed squeaky toy that she likes! She was amazed when it squeaked. It is so cute she keeps seeing her reflection in the stove and wiggles thinking it's another dog. She's not in good shape. Very scared of the leash but at this point I am keeping on when I take her out in the fenced yard. I was holding back the tears when I walked her around (more so she walked me as I just let her go where she wanted) just seeing the way these babies are is heartbreaking. Thank you-welcome to your new free life little mama! 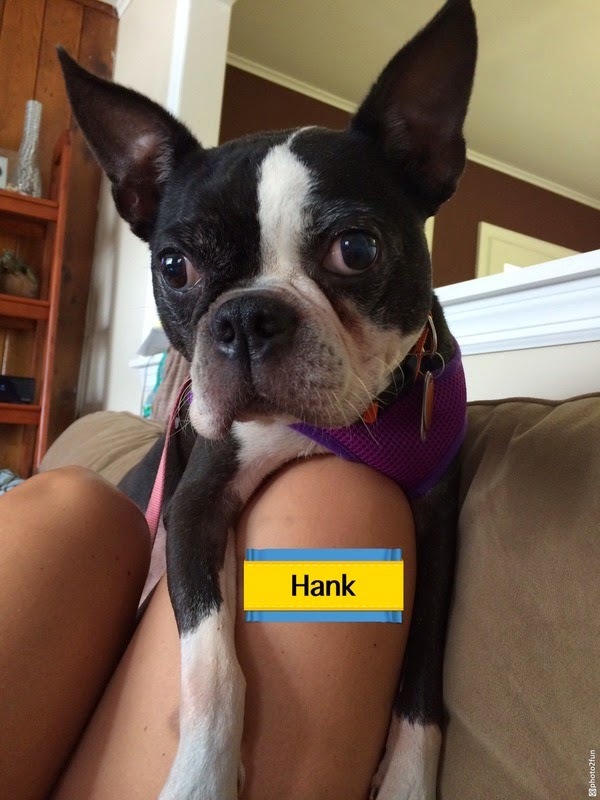 This is a quick update on Hank! He is doing amazing. He still cries sometimes in the crate as he wants to me with people all the time. Hank is walking on his leash with the harness on. He loves to eat food and wants to cuddle as much as he can! He proved himself last night by sleeping loose in the kitchen, this is where he will sleep from now on! Fiona was not too happy at first but you can see that they both fit on the couch! 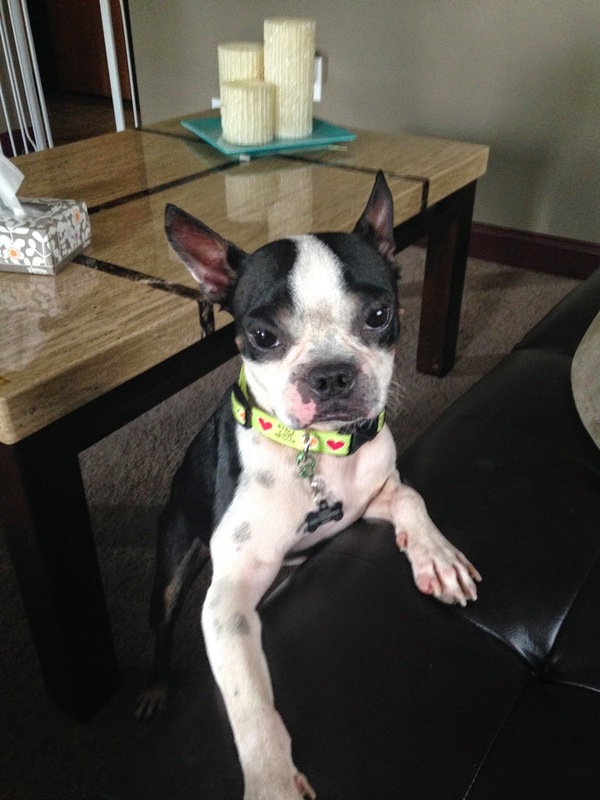 He is fully potty trained and will be looking for a home to spoil him soon! Hank also met my mom and was such a good boy! He still jumps a little when you first approach him but it is really just for attention. He will be looking for a home with lots of pets, love and cuddle time. 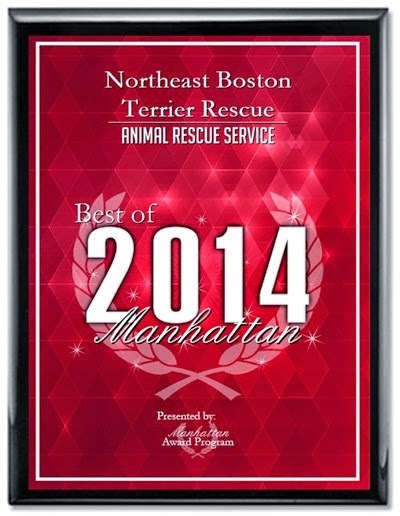 Northeast Boston Terrier Rescue has been selected for the 2014 Best of Manhattan Award in the Animal Rescue Service category by the Manhattan Award Program. This is due in no small part to the efforts and talents of Ellen Thelin, Stacie Kyle, Melissa McGinn, and Katherine DeCotiis. These four women have worked hard at NEBTR public relations, and are deserving of our recognition in receiving this award. This is the second year in a row that we have won this award. Each year, the Manhattan Award Program identifies entities and businesses that they believe have achieved exceptional marketing success in their local community and business category. These are local companies that enhance the positive image of small business through service to their customers and community. These exceptional companies help make the Manhattan area a great place to live, work, and play. The Manhattan Award Program was established to recognize the best of local businesses in the community. Theorganization works exclusively with local business owners, trade groups, professional associations and other business advertising and marketing groups. I picked up Ruby today from the Montgomery County SPCA, and what a doll she is!!! Apparently she was surrendered because her owners could not afford vet care for her and she seems to have chronic upset stomach, poor girl. She was very dirty, so I gave her a bath and she was really well behaved. She also followed me around the yard glued to my side, she is quite affectionate. I am only fostering her until Sharon Sweeny returns from vacation next week. Here are some pics of her-notice my other 3, plus foster Myrtle in the background acting as the welcome wagon!!! Thank you so much Carrie, she's adorable. A woman called us. She went to Ohio to get a large amount of mill survivors. 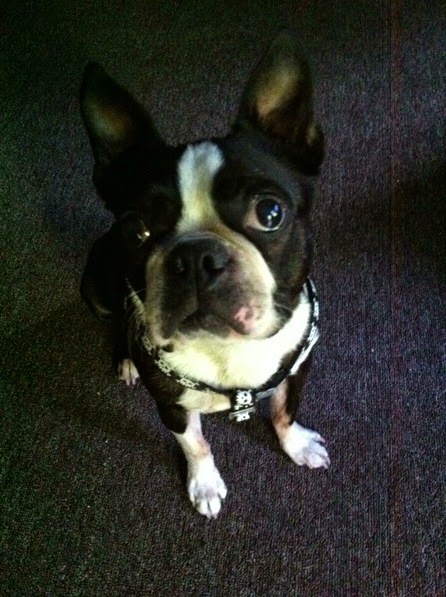 There are 4 bostons - two 9 month olds and their parents. Mom and Dad - free at last. Huge thanks to Leslie Kaucic for driving to OHIO today!!! Rocky is living the good life in Philly these days. 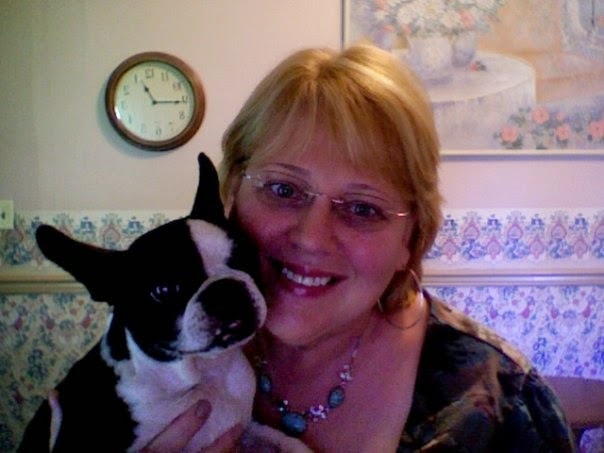 He and his forever mom, Mary are very happy together. She said that since Rocky is now living in Philly he needed his very own boxing gloves. LOL! Maybe it's been awhile since you've thought of Milly and Clara, but they're still here!! These sweet girls are bonded and still looking for a home where they can remain together and BFF. They do have a few wishes, and would send lots of slobbery (but ladylike) kisses to anyone who is kind enough to send them a treat! Molly can sleep on anything! How could you not have a happy day looking at this face! 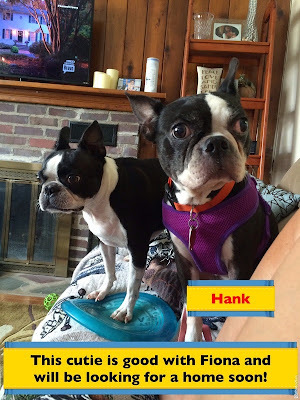 Please Welcome Hank and Frank. They are two 9 year old brothers that just arrived yesterday. Aw, cute babies. Thanks for helping them!! Hey ladies and gents, it's me, Rondo! 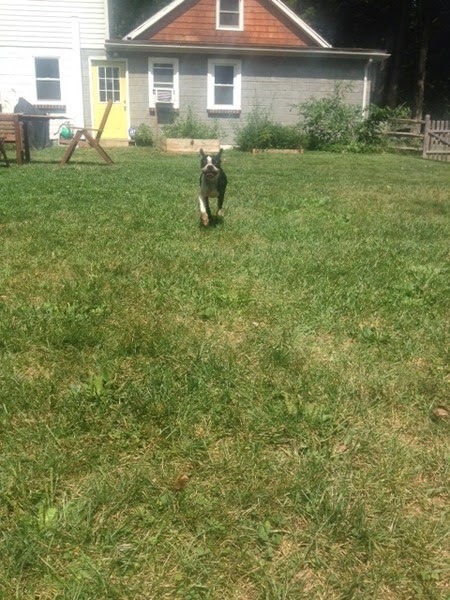 I'm so excited to be here at my foster mom Amanda's house. Things are going great so far! I'm a snuggle bunny and I just love life! I could use a few new things to get me started... if you could send me a treat or a toy, I'd love ya forever!!! Thanks guys. I spoke with Dawn Slack today. Madison is doing very well and is enjoying a very active life with trips in the car and nice long walks and running in the dog park. In a weeks time she has won over family, friends, and neighbors including the postmaster of their little town. 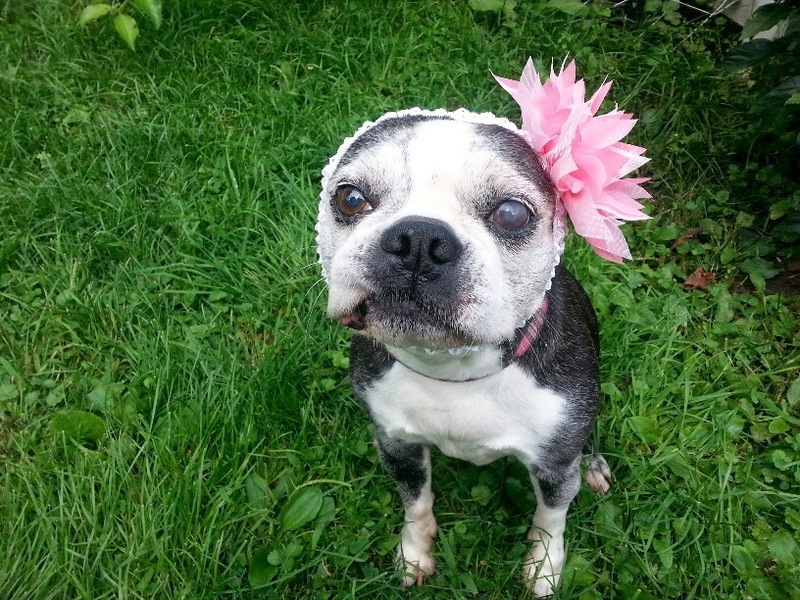 She and Dawn plus her new grandmother are all a perfect match. They were looking particularly photogenic to me this morning, my furbaby loves!! Why One Duck When You Can Have Two?